Why Weren't Hammers Designed With Magnetic Handles In The First Place? 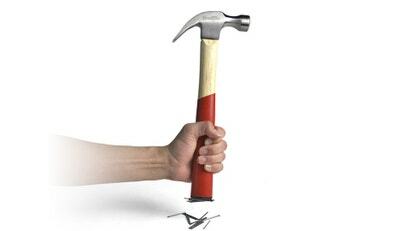 Designer Jung Soo Park has managed to drastically improve the functionality and capabilities of the lowly hammer. But he didn't accessorize it with useless add-ons only good for attacking non-existant zombies. Instead, he added a magnet to the handle for wrangling nails. Genius.